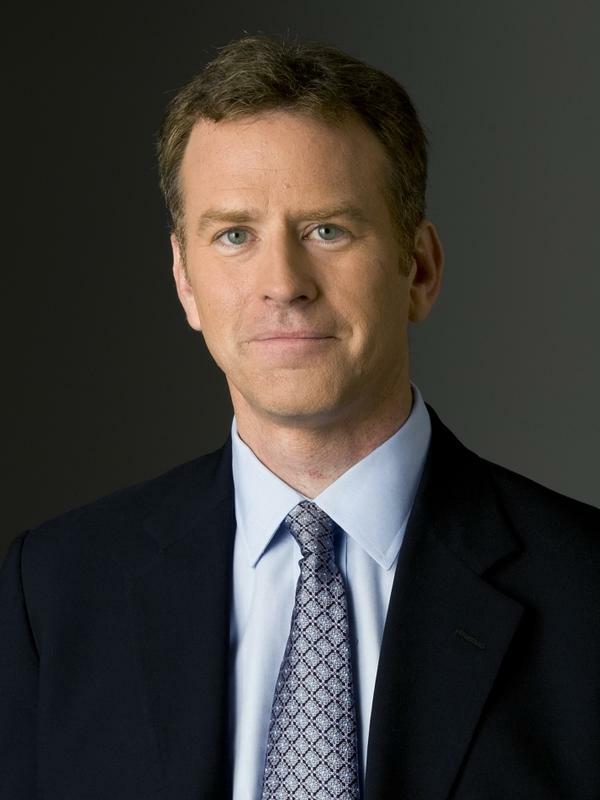 Steve Inskeep is host of NPR's Morning Edition, as well as NPR's morning news podcast Up First, with Rachel Martin and David Greene. Known for probing questions to everyone from presidents to warlords to musicians, Inskeep has a passion for stories of the less famous—like an American soldier who lost both feet in Afghanistan, or an Ethiopian woman's extraordinary journey to the United States. Since joining Morning Edition in 2004, Inskeep has hosted the program from New Orleans, Detroit, Karachi, Cairo, Houston and Tehran; investigated Iraqi police in Baghdad; and received a 2006 Robert F. Kennedy journalism award for "The Price of African Oil," on conflict in Nigeria. In 2012 he traveled 2,700 miles across North Africa in the wake of the Arab Spring. In 2013 he reported from war-torn Syria, and on Iran's historic election. In 2014 he drove with colleagues 2,428 miles along the entire U.S.-Mexico border; the resulting radio series, "Borderland," won widespread attention, as did the acclaimed NPR online magazine of the same name. Inskeep says Morning Edition works to "slow down the news," making sense of fast-moving events. A prime example came during the 2008 Presidential campaign, when Inskeep and NPR's Michele Norris conducted "The York Project," groundbreaking conversations about race, which received an Alfred I. duPont-Columbia University Silver Baton for excellence. Inskeep was hired by NPR in 1996. His first full-time assignment was the 1996 presidential primary in New Hampshire. He went on to cover the Pentagon, the Senate, and the 2000 presidential campaign of George W. Bush. After the September 11, 2001, attacks, he covered the war in Afghanistan, turmoil in Pakistan, and the war in Iraq. In 2003, he received a National Headliner Award for investigating a military raid gone wrong in Afghanistan. He has twice been part of NPR News teams awarded the Alfred I. duPont-Columbia University Silver Baton for coverage of Iraq. On days of bad news, Inskeep is inspired by the Langston Hughes book, Laughing to Keep From Crying. Of hosting Morning Edition during the 2008 financial crisis and Great Recession, he told Nuvo magazine when "the whole world seemed to be falling apart, it was especially important for me ... to be amused, even if I had to be cynically amused, about the things that were going wrong. Laughter is a sign that you're not defeated." Inskeep is the author of Instant City: Life and Death in Karachi, a 2011 book on one of the world's great megacities. He is also author of Jacksonland, a forthcoming history of President Andrew Jackson's long-running conflict with John Ross, a Cherokee chief who resisted the removal of Indians from the eastern United States in the 1830's. He has been a guest on numerous TV programs including ABC's This Week, NBC's Meet the Press, MSNBC's Andrea Mitchell Reports, CNN's Inside Politics and the PBS Newshour. He has written for publications including The New York Times, Washington Post, the Wall Street Journal, and The Atlantic. A native of Carmel, Indiana, Inskeep is a graduate of Morehead State University in Kentucky. China's ambassador to the United States says his country is "ready to make a deal" to end a trade war with the United States — if they could find a trustworthy partner in Washington. 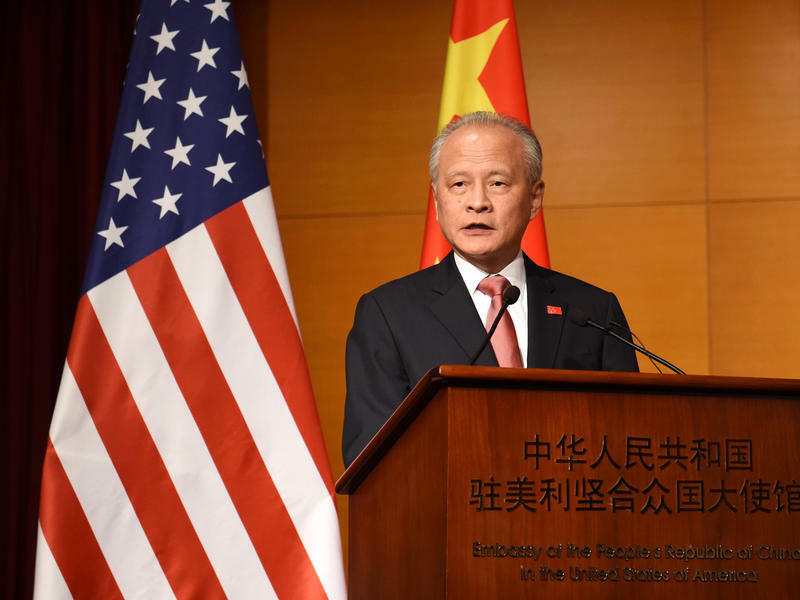 Cui Tiankai accused the United States of shifting positions and passing up opportunities for agreement. The United States has been escalating tariffs on imports from China, and China he responded with taxes on U.S. goods. There was a time when President Trump boasted that he might be the first person ever to make a profit off running for president. A president who's often made demands of the Justice Department now insists - whatever works, it's all good. President Trump is celebrating a new North American Free Trade Agreement. Canada last night joined the United States and Mexico in this new trade deal. And the president spoke about it in the White House Rose Garden today. Just how much further is the Federal Bureau of Investigation supposed to look into the life of Brett Kavanaugh? CHRISTINE BLASEY FORD: (Reading) I am here today not because I want to be. I am terrified. I am here because I believe it is my civic duty to tell you what happened to me while Brett Kavanaugh and I were in high school. Christine Blasey Ford has just begun to speak to the Senate Judiciary Committee, offering testimony today against Supreme Court nominee Brett Kavanaugh. Let's just bring the sound of that as we hear a bit of her opening statement. BRETT KAVANAUGH: What I know is the truth. And the truth is I've never sexually assaulted anyone, in high school or otherwise. 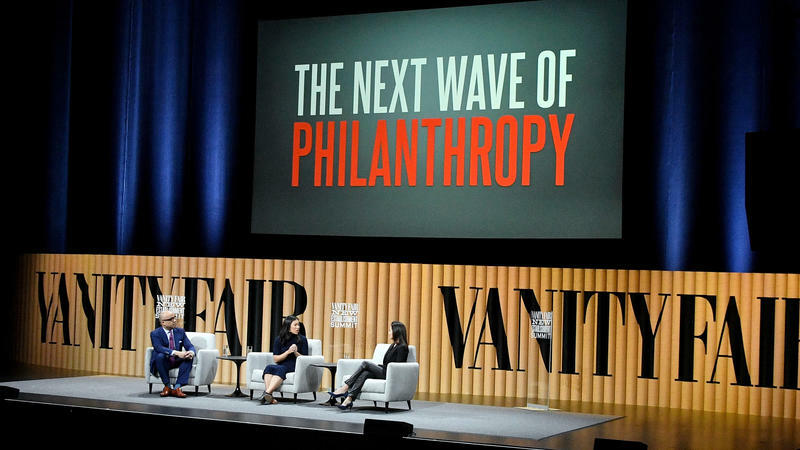 Writer Anand Giridharadas has a dark view of American philanthropy. He has been writing about people who say they're changing the world for the better — except that despite their best efforts, it's not working. 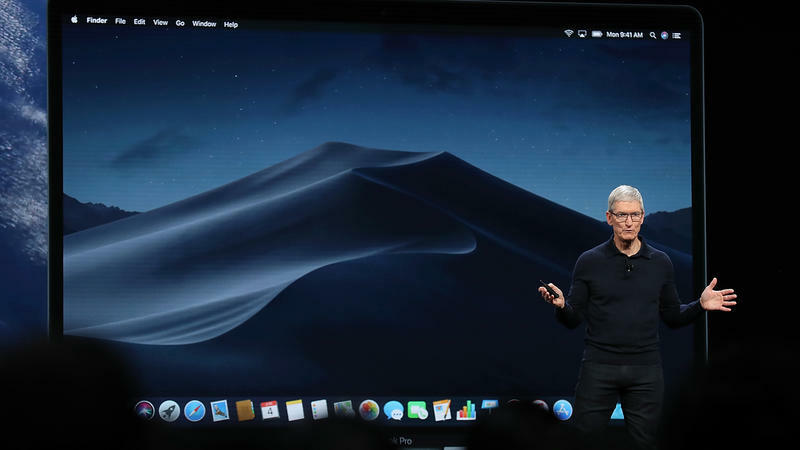 Tim Cook, who has led Apple since 2011, spoke with NPR's Steve Inskeep in a wide-ranging interview on Monday as the company kicked off its annual Worldwide Developers Conference. 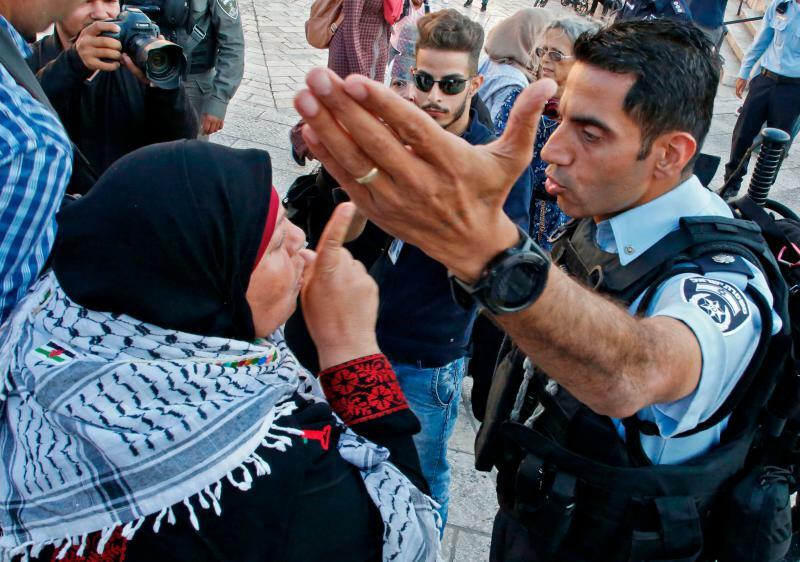 The contradictions of the Israeli-Palestinian conflict are always on display, but rarely as starkly as this week, when the United States opened its embassy in Jerusalem and the militant group Hamas and others planned a protest at the same time that turned deadly. As the U.S. Embassy to Israel officially moves from Tel Aviv to Jerusalem on Monday, "I think the move is going to permit the parties to focus on issues that are, first of all, important. And second of all, solvable," U.S. 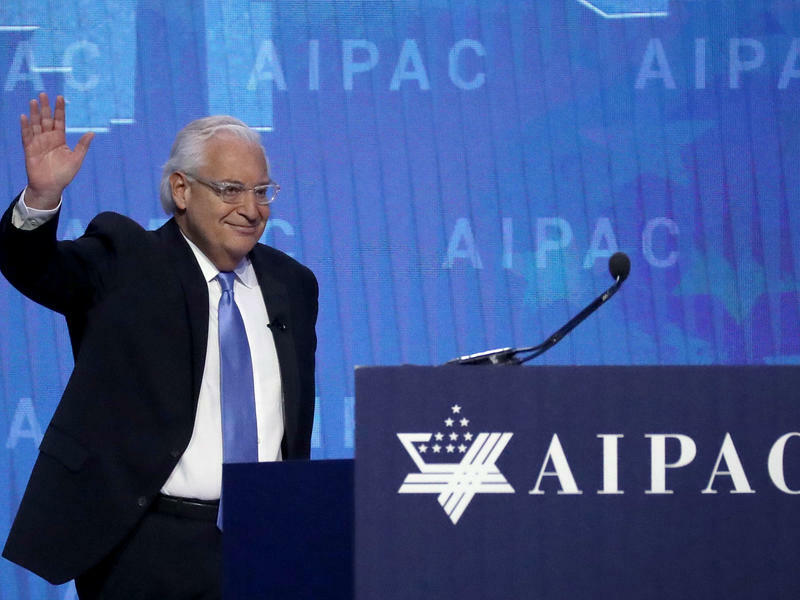 Ambassador to Israel David Friedman tells NPR's Morning Edition. "What the president did when he made this decision was to remove from the Palestinians the right to veto the recognition by the United States and other countries of Jerusalem as the capital of Israel." Steve Inskeep is in Jerusalem today, where, Steve, you are covering two stories that have been connected for generations, right? The Trump administration is making plans to "prod" and "cajole" U.S. allies to stop doing business with Iran, a senior State Department official told NPR on Wednesday. 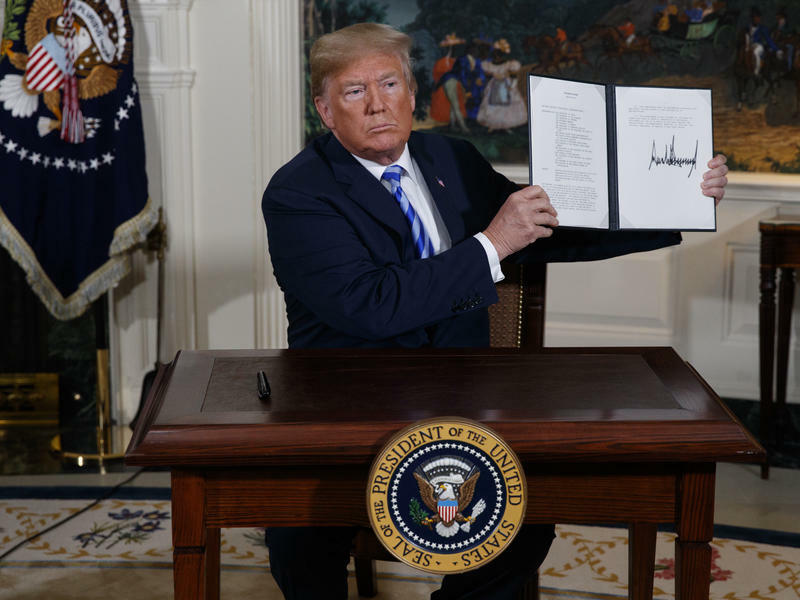 Andrew Peek, who oversees State Department affairs relating to Iran, spoke the morning after President Trump announced that he was withdrawing the United States from its 2015 agreement with Iran limiting its nuclear program and that he was reviving sanctions on Iran. Patrick Shanahan is sitting in his sparse Pentagon office. The only picture is a framed portrait of his father, a Vietnam War veteran who was awarded a Bronze Star. Now it's up to his son — the No. 2 defense official — to juggle both current and future wars. And that means he works six or seven days a week. 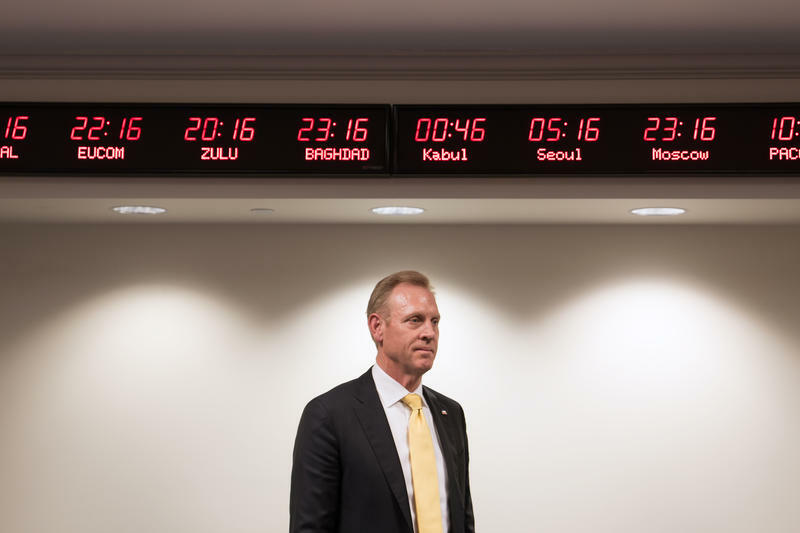 Both Shanahan and his boss, Defense Secretary Jim Mattis, come from Washington state and have a good-natured rivalry about who gets to work the earliest, often before the sun rises. 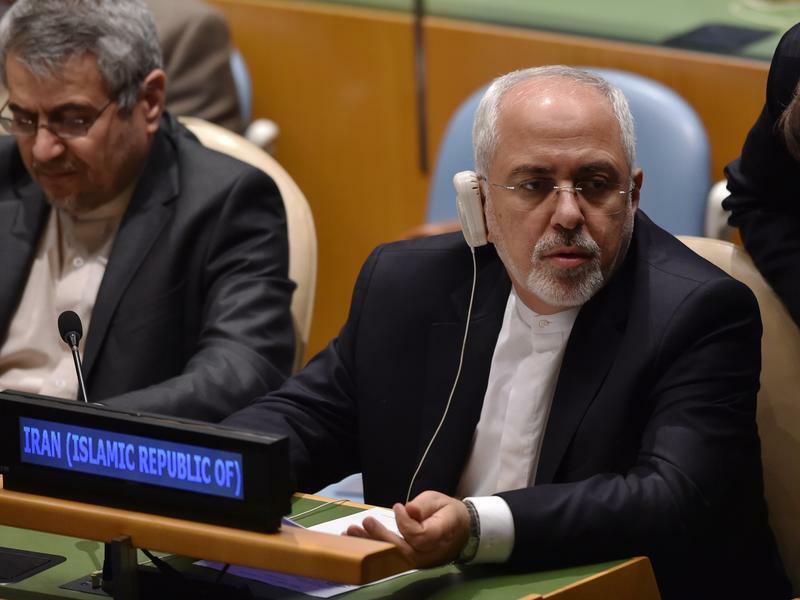 When Iranian Foreign Minister Mohammad Javad Zarif walked into a roomful of reporters in New York on Saturday, he remarked on how his U.S. visit was going. "Good," he said. "Not as good as the guy who spent $250 million on the trip."